If today’s church does not recapture the sacrificial spirit of the early church, it will lose its authenticity, forfeit the loyalty of millions, and be dismissed as an irrelevant social club with no meaning for the twentieth century. 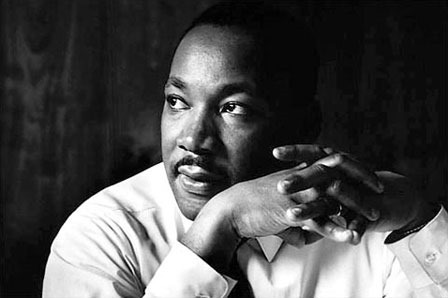 There is an op-ed piece by Barnard College professor Jonathan Rieder in The New York Times which offers some insights into the thinking of Dr. King. While I am not thrilled with the title of the piece, “Dr. King’s Righteous Fury,” it is nevertheless worth the reading. I was particularly struck by the quote which I used at the top of this entry. It is a prophetic indictment of the state of our church today. It had been a while since I had read the letter, and I am amazed at how fresh and appropriate its content and comments remain today, 50 years after its first coming to light. We pray for the victims of the senseless tragedy in Boston, that God’s abiding presence may bring comfort and healing to all who mourn. And we ask God to strengthen our faith, renew our hope, and liberate us from the captivity of fear, so that violence may not have the last word. By the power of the Holy Spirit, may we be encouraged to love our enemies, and strive for justice and peace in all the world.